Want to connect with Norman?
. I will have your pet stay in my home where they will live with my family and they will be cared for as you would care for them. Most pets like a person there all the time while your pet is in my care until you return. I provide the following services that not all boarding places dont. I do not keep your pet in a cage all day. I do not close for the weekend and am available to begin or end your pets boarding at any reasonable hour. I will pick up and deliver your pet. I will only feed them food you provide plus treats. I am proficient in administering medecine and first aid. I am insured and your first night is free for new customers. Daily pet walks available for those working parents. 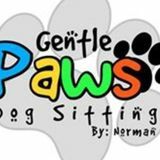 Check Facebook for GentlepawsPr and GOOGLE for reviews.